This is the second feature film directed by Alex Garland, his first being the superb 2015 film “Ex-Machina“. He is best known for his novel “The Beach” that was adapted into the feature film starring Leonardo DiCaprio. Annihilation fulfils the promise of Alex Garland’s debut feature film by yet again delivering a thought provoking film of depth and complexity that rewards multiple viewings, a big budget film that treats the audience with intelligence. One aspect that sets Annihilation apart from many Hollywood films released in 2018 is the lead cast is made up of almost entirely female actors, and what a cast it is, headed up by Natalie Portman and Jennifer Jason Leigh, yet again delivering superb performances. 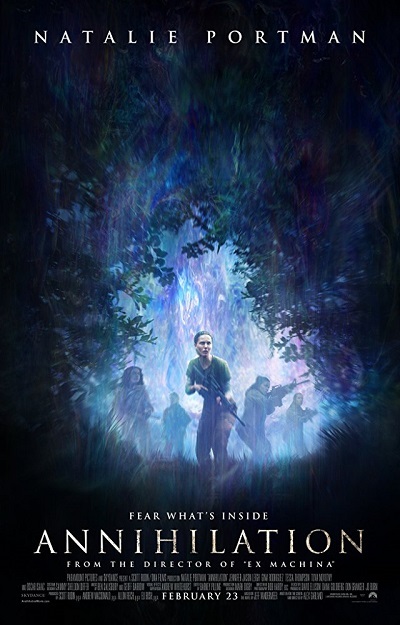 It is such a shame that Annihilation bypassed the cinema outside of the US, because it is clearly a film made for the big screen, however it is to the credit of Netflix that it is acquiring films such as this from the big studios who want to cut their loses because they are afraid films like this will lose money with a theatrical release. This is quite possibly Netflix best film of 2018, maybe even the best film they have acquired to release so far. This is the third feature film from English husband and wife film-makers Dominic Brunt and Joanne Mitchell, who brought originality and freshness to the horror genre with their first two films, the zombie genre with “Before Dawn” and the monster movie with “Bait“. As with these films “Attack of the Adult Babies” feels fresh and different, a film that has far more depth to it than it at first seems on the surface, a surprisingly intelligent and thought provoking satire. Though Fear not it is first and foremost a laugh out loud fun ride that fans of the blood and gore genre will love, bringing to mind the early films of Peter Jackson, and Troma films, from film-makers who so clearly have a passion for those films. The whole cast obviously had great fun, which translates into the finished film, a cast including producer Joanne Mitchell, genre legend Laurence Harvey and Shamus McNeil of Alex Chandon‘s “Inbred“, which Joanne Mitchell produced and Dominic Brunt starred in. Fans who loved Inbred and those that love laugh out loud blood and gore films will love “Attack of the Adult Babies“. Now I know with the inclusion of this I will quite possibly get roasted from some quarters because of many people’s negative perception of Justin Bieber. Honestly before I saw this heartfelt, and open minded, documentary I was one of those people, but bear with me and read my review of a this low budget independent film directed and produced by Jennifer Van Gessel, who herself is not a Justin Bieber fan, yet had her perception changed after completing the almost five year journey to film, put together, and complete “Bieber Generation“. This film honestly changed my negative perception of Justin Bieber and his fans, many others opinion will change if they put aside all preconceptions and go in with an open mind. Chloe Grace Moretz yet again shows why she is among one of the best actors of her generation. “Brain on Fire” could so easily have been a generic “disease of the week film” but through her performance, and that of all the supporting cast, the film-makers elevated the material to another level. Based on a true story, “Brain on Fire” is about a young woman and those close to her who have to deal with her mental illness, showing that storytelling within 90 minutes with fleshed out characters and depth can be achieved, never feeling at all clichéd for one second. This is a film that also needs to be seen to educate, and encourage discussion to try to change the negative stigma attached to all mental illnesses. 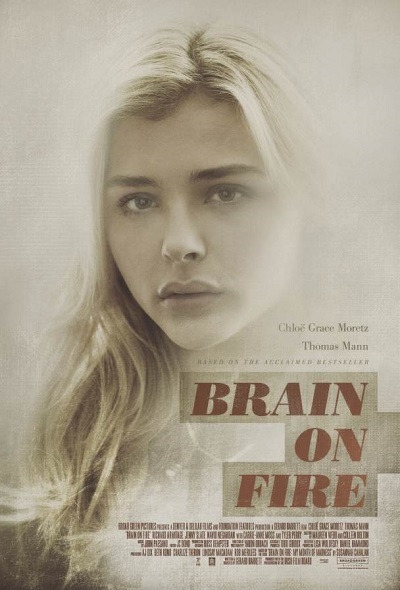 Huge credit should go to Netflix for acquiring “Brain on Fire“. I came across this film back in 2016 while it was still in production, catching my eye mainly because I am a huge fan of Alex Essoe, through initially being blown away her performance in “Starry Eyes“, one of the best horror films of recent years, and was further intrigued because I loved Simon Rumley‘s superb psychological horror film “The Living and The Dead“, a match made in film heaven that I could not wait to see. Simon Rumley wrote, produced and directed “Fashionista” aiming to emulate the style of a Nicholas Roeg film, telling a story of obsession and addiction that at times brought to mind Nicholas Roeg’s “Bad Timing“. Amanda Fuller is superb in the lead role, one of the most fearless and impressive performances of recent years, with an exceptional supporting cast, including an always impressive Eric Balfour, and in a small but key role Alex Essoe delivering an outstanding performance, as she always does. A beautiful and fitting tribute to a unique genius from one of Nicholas Roeg’s biggest fans, and his friend. One of the best and most original biopics I have seen in years, showing yet again why Simon Rumley is among one of the very best film-makers working today. “Crowhurst” does something unusual for a biopic, in that it actually puts the viewer in the head of Donald Crowhurst, a businessman and amateur sailor who in 1968 entered a single-handed around the world yacht race in the hope of winning a cash prize to help his failing business, portrayed in an outstanding performance by Justin Salinger. The feeling of being out in the middle of the ocean has never be realised quite like this since “Jaws“, further enhancing the psychological aspects. 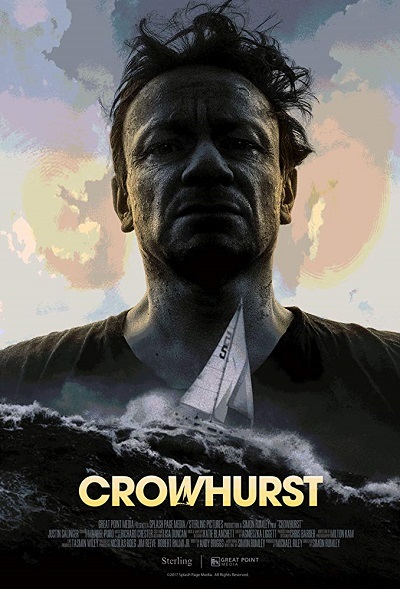 “Crowhurst“, just like “Fashionista“, has the feeling of a Nicholas Roeg film, not really surprising as he was executive producer on “Crowhurst” and had wanted to make a film about Donald Crowhurst as far back as the 1970s. Simon Rumley and Nicholas Roeg not only made a genuinely unique biopic but also a psychological masterpiece. The final film of legendary character actor Harry Dean Stanton is a beautifully poetic swan song and fitting tribute to a truly unique human being and incredibly talented actor. 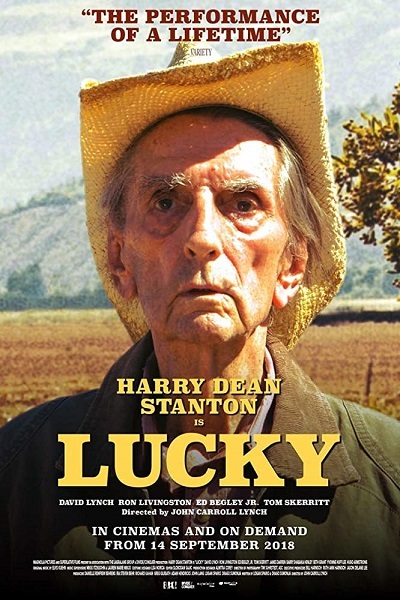 “Lucky” encapsulates the film in its opening titles, “Harry Dean Stanton is Lucky,” the character depicting the heart, soul, and wisdom of Harry Dean Stanton, every little nuance telling you everything you need to know about the character, and in so doing Harry Dean Stanton himself. Director John Caroll Lynch (no relation to David Lynch), whose debut feature film this is, has said that when looking back at dailies (film they had shot that day) he saw things in Harry Dean Stanton’s performance that he never even saw while filming, a testament to the incredible actor he was, and also his humility in the fact that he attributed his talent to having great directors. “Lucky” is an exploration of mortality and, as Harry Dean Stanton did all his life, living in the moment. It is hard to believe watching the finished film that John Caroll Lynch was not initially going to direct, but without a doubt he was the perfect choice. However, even though it is without a doubt Harry Dean Stanton’s film all of the brilliant cast get their moments to shine, with John Caroll Lynch letting the focus of the film be entirely on the actors, aided by Logan Sparks superb screenplay written for his friend Harry Dean Stanton. For those who are maybe not familiar with Harry Dean Stanton Lucky is the perfect place to begin to discover one of the greatest actors of all-time, for others it is a chance to savour what may well be the best performance of his career. Debra Granik director of “Winter’s Bone” delivered yet again another sublime character driven film exploring outsiders from society. 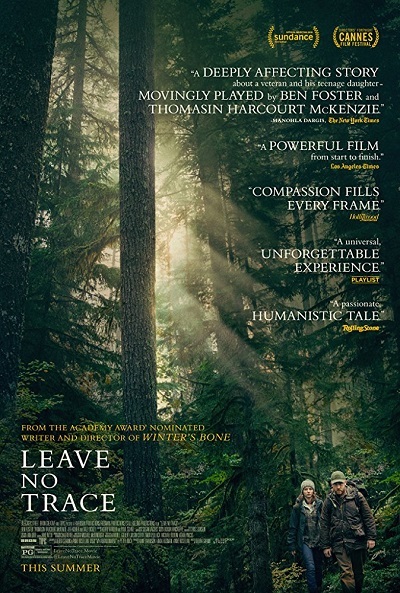 “Leave No Trace” is based on the novel “My Abandonment” by Peter Rock, depicting the relationship between a veteran suffering PTSD and his daughter who live off the grid in an urban national park. It is apparent from the realism of the film that there was a great amount of research carried out into PTSD and those people who choose to live an alternative lifestyle, with the film never moralising or passing judgement. The father and daughter relationship is beautifully realised in the first third of the film, using minimal dialogue and very little exposition, the nuanced performances of the always superb Ben Foster and newcomer Thomasin McKenzie depicting everything the audience needs to know so as to engage with their characters, care about them and understand their relationship. The stunning cinematography and brilliant direction makes it feel as if the audience are with the characters in the early forest scenes. “Leave No Trace” deals brilliantly and sensitively with the effects of PTSD on not only those that suffer it, but also their loved ones in a subtle way. Ben Foster first appeared in the TV series “Six Feet Under” in the early 2000s and has built a reputation as a brilliant character actor, and arguably he has never been better, with Thomasin McKenzie matching him all the way, and it is very surprising she is not being talked about as Jennifer Lawrence was with her star making performance in Debra Ganik’s “Winter’s Bone“. “Leave No Trace” is an intelligent and compassionate film that creeps under the skin and lingers in the mind long after it has finished. Absolute film-making perfection. Exceptional things have been said about writer and director Lynne Ramsey’s films over the years since “Ratcatcher” was released in 1999, but I have never gotten around to watching any of them, until now. 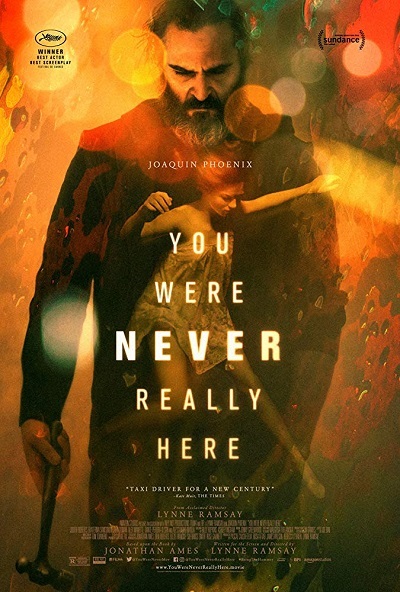 “You Were Never Really Here” confirms everything I had heard, brilliantly made with an hallucinatory dreamlike quality, in certain aspects bringing to mind “Taxi Driver“. Joaquin Phoenix plays a gun for hire in maybe a career best performance. The story and characters may seem generic but there is far more to it, and in the hands of writer-director Lynne Ramsey the film becomes something altogether different, a character study very much in the style of the character driven films of the 1970s. Any synopsis really could never do the film justice at all. Brutal and disturbing, with most of it being implied, or just out of frame, making the scenes all the more shocking, with not one second wasted and every little nuance saying more than pages of dialogue. It is remarkable what Lynne Ramsey achieved in a 90 minute film, with many film-makers struggling to get the level of depth and complexity that she realised. “You Were Never Really Here” is a masterpiece. 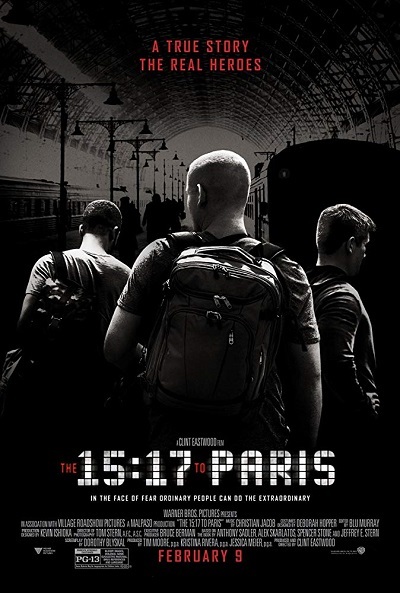 A very accomplished debut feature film, written and directed by Coralie Fargeat, bringing a fresh feel to the revenge genre, as only a female, and French, film-maker could. The entire cast is superb, anchored by a fearless performance by Matilda Lutz, brilliantly portraying the character’s arc, imbuing her with depth despite her very limited dialogue, making the viewer engage with her and so invest in her fate. The film takes time to introduce all the characters and set up the story to give them and the film depth, and after this purposeful build up it becomes brutally relentless. 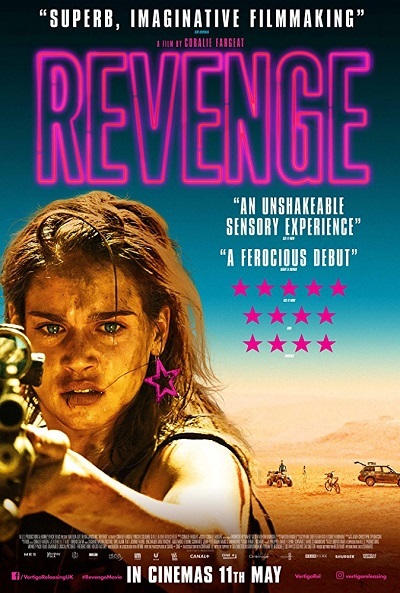 “Revenge” is stylised, visceral, extremely brutal, gory, and bloody, yet is elevated above its B-movie exploitation roots by the distinct perspective of a female writer and director. Pascal Laugier, director of “Martyrs“, has delivered yet again another horror film that ranks among the very best. Nothing could have prepared me for what I experienced and the emotions I felt, a psychological edged horror film that is a much needed breath of fresh air to the horror genre. 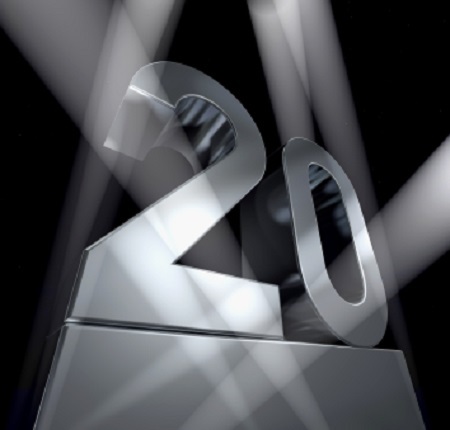 It is very difficult to say anything about the plot and the characters without giving away spoilers because the overall effect of the film is accentuated by the fact that it is a film which is best watched with little or no prior knowledge. A must see for fans of horror who are looking for something that genuinely does something different with some familiar horror sub-genres. Delivering exactly what you would expect from a Spike Lee film, having lost none of his edge as maybe would be expected from a film-maker of over 30 years. A powerful and important film set during the 1970s civil rights movement that shines a light on hate in all its forms, being neither a comedy or a flippant film about racism the trailer might suggest, however it is also not heavy going, in only the way Spike Lee could make a film about racism. 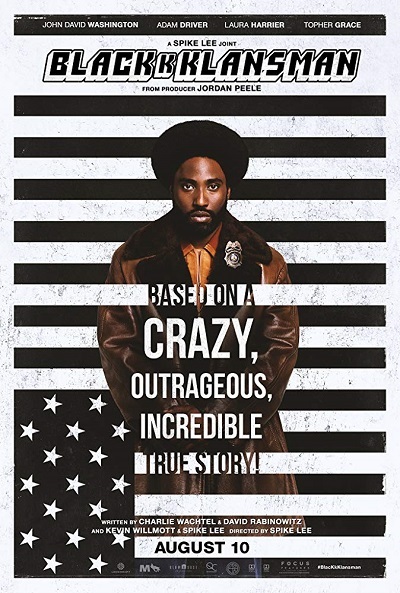 It does have humorous moments, but it uses them to put across serious points in a way that is never preachy, showing racism and hatred as it really was, and still is, with some sobering and gut punch moments at times, as has always been Spike Lee’s style. There is some dramatic license taken with the true story it is based on, but the core of it is true. “BlacKkKlansman” is a film that stays in the mind long after it is finished and may well be Spike Lee’s best film. This was an unexpected surprise, with some having compared it to Quentin Tarantino‘s films, and specifically “Pulp Fiction” because of the multiple characters and storylines, but it is far less knowing and referential than his style of film-making, with writer, director and producer Drew Goddard‘s film being far more reminiscent of the classic film noirs of the 1930s and 1940s, with added stylistic touches. 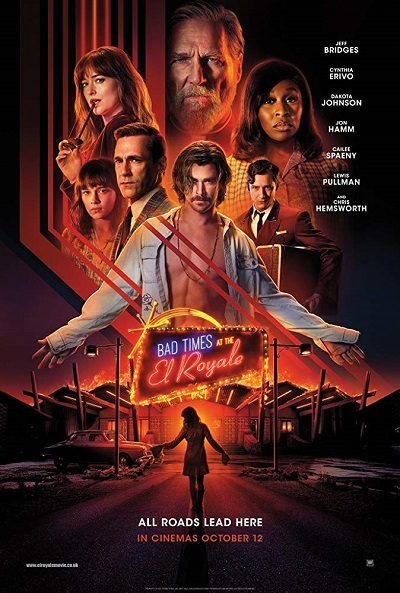 What elevates the entire film are the performances of the cast consisting of among others Jeff Bridges, John Hamm, Dakota Johnson, Chris Hemsworth and Florence Pugh, as it is first and foremost an actors film, not surprising considering Drew Goddard worked on both “Buffy the Vampire Slayer” and “Angel” which were both primarily character driven TV shows. Unsurprisingly the actors all seemed to have really enjoyed playing their characters. For a 140 minute film it rattled along from the amazingly audacious opening sequence right through the twists and turns to the very end. Gripping, unpredictable, and entertaining. Panos Cosmatos‘ second feature film, his first being the superb and unique “Beyond the Black Rainbow” released in 2011, is a genre mashing mind-blowing surreal masterpiece. Nicholas Cage is phenomenal in possibly a career best performance, however it is not just his film alone, Andrea Riseborough and Linus Roache match his performance all the way, being as a much the main characters as he is. 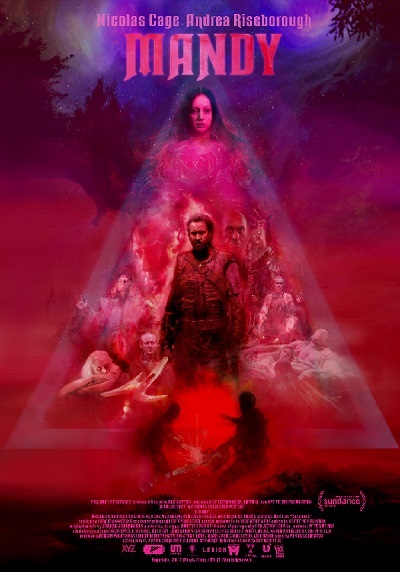 Mandy is a truly unique film like no other. Stylised, visceral, extremely brutal, gory, and bloody, yet is elevated above its seemingly B-movie roots by the unique vision of Panos Cosmatos. A beautiful and poetic film that is based on the memoir of Peter Turner who had a relationship with Hollywood actress Gloria Grahame in the 1970s. 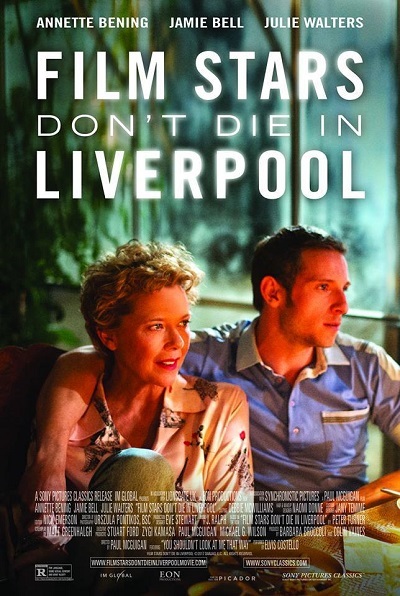 Their love story is depicted in career best performances from both Annette Bening and Jamie Bell, with a superb supporting cast of Julie Walters, Stephen Graham, Kenneth Cranham, Vanessa Redgrave, and Frances Barber. This is one of the most overlooked films of recent years that never once falls into cliché, with a sublime dreamlike quality and a realism to it that beautifully depicts the love Gloria Grahame and Peter Turner had for one another. Annette Bening perfectly captures Gloria Grahame in her later years, who many will recognise from her role in “It’s A Wonderful Life“. The writing, cinematography, musical score, and direction are superb, enhancing every aspect of the film. A beautifully poignant and realistic true life love story. Absolute film-making perfection. 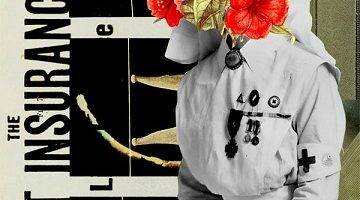 My introduction to film-makers Aaron Moorhead and Justin Benson was back in 2015 with their unique and brilliantly made Lovecraftian inspired horror film “Spring“, now one of my all-time favourite films. On hearing they were in production on a follow-up film I was to say the least excited, although I was not entirely sure they could match what they had achieved with “Spring“, therefore I kept my expectations at a realistic level. 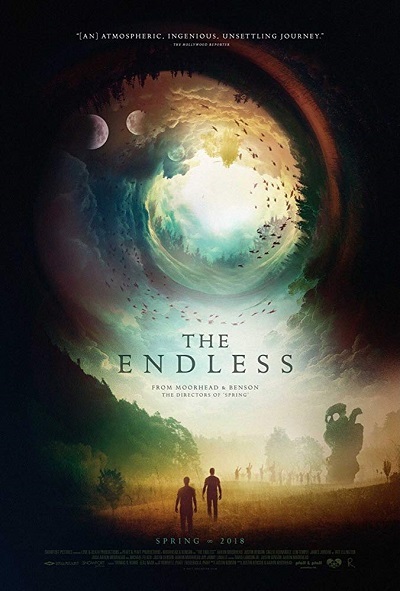 Having now finally seen “The Endless” I can very happily say those expectations were surpassed. The vision and scope of it, especially considering the low budget, is astounding. An incredibly deep and layered Lovecraftian inspired film that uses suggestion rather than overblown Hollywood bombast, a brilliant example of making the absolute most of a limited budget. Aaron Moorhead and Justin Benson are not only among two of the best and most exciting film-makers around they are also really talented actors, playing the lead characters beautifully. Although not essential, it is well worth watching their debut feature film Resolution first because that gives an added dimension to the experience of watching “The Endless“, a deep, layered, and profound experience. This is a superb award winning debut feature written and directed by Michael Pearce set on the UK island of Jersey. A film that seems on the surface to be generic, but genuinely feels fresh and different, with unpredictable twists and turns. The film is a essentially a physiological character study of a troubled young woman living in an isolated community who finds herself pulled between the control of her oppressive family and an outsider. 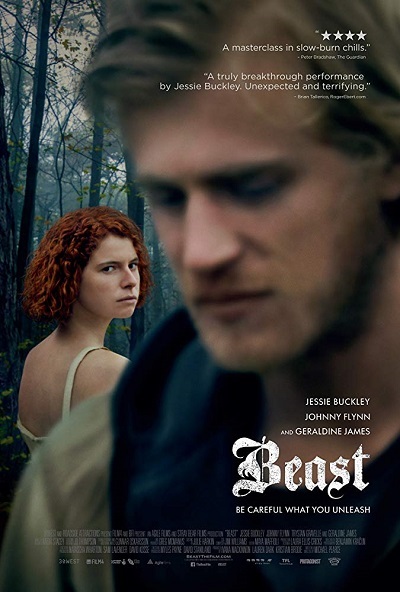 The entire cast give brilliant performances, but the genuine standout is Jessie Buckley who plays the lead character, giving a beautifully nuanced performance. The film is faultless, beautiful writing, superb direction, and stunning cinematography, everyone involved at the absolute top of their game. 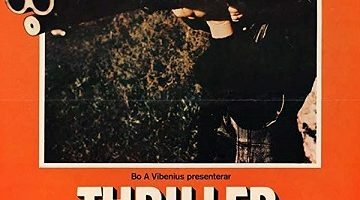 This debut film written and directed by Robert Mockler is another film where any synopsis really does not do justice to it at all, “Taxi Driver” by way of “Natural Born Killers” is the only way to even begin to describe this brilliant and superbly made character study, but even that does not come close. 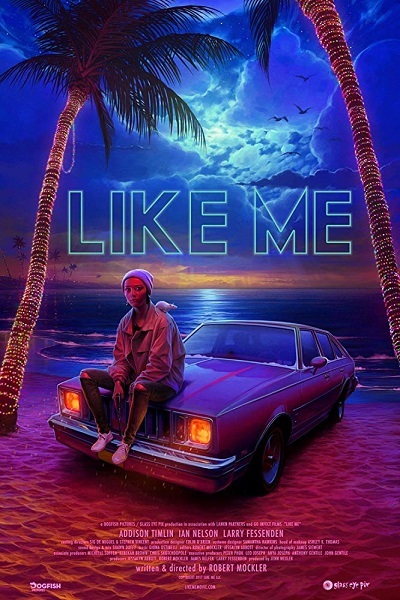 “Like Me” explores the modern day obsession of social media celebrity, but in a unique way that makes the film feel genuinely fresh. From the very first scene there is a disturbing feeling of dread, the film never being overly gratuitous. 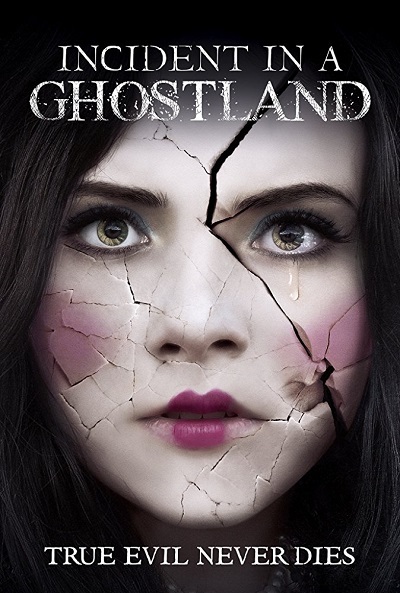 The film is anchored by a superb lead performance by Addison Timlin, backed up by a faultless cast, including genre legend Larry Fessenden, who has been involved with, and appeared in many of the most interesting and best independent films of recent years. Among the producers of “Like Me” is Jenn Wexler, who wrote and directed “The Ranger“, one of the most acclaimed horror films of 2018, who along with Robert Moxler, is a name to remember. This is Netflix most ambitious project so far and further proof of the genius of “Black Mirror“, and “Charlie Brooker“, writer and creator. 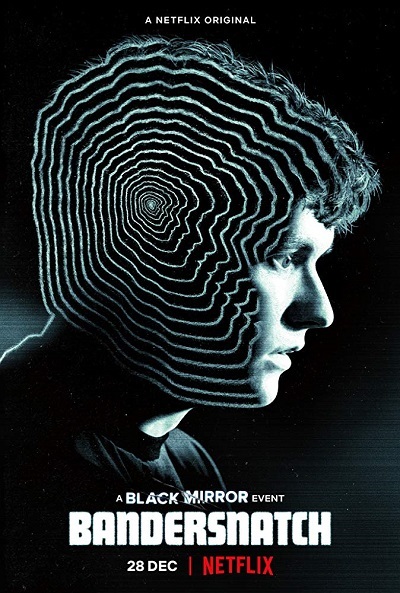 “Black Mirror: Bandersnatch” is genuinely ground-breaking and could change the face of the film and TV experience, taking the idea of a “choose you own adventure” book and adapting it into film form, with the viewer making choices for the main character. Directed by David Slade, with a superb cast of Fionn Whitehead in the lead role alongside Wil Poulter, Alice Lowe, and Craig Parkinson. 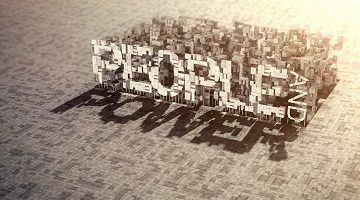 As has come to be expected from “Charlie Brooker” and “Black Mirror“, it is deep, thought provoking and powerful. 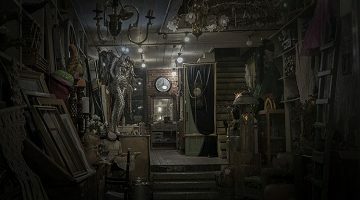 A film, and experience, that stays in the mind long after it has finished, and will require multiple viewings to grasp the themes and ideas, and what has been accomplished by all involved in its production. A truly remarkable and mind blowing experience. One of the best horror films of all-time, and quite possibly my best film of 2018, a film every horror, and particularly anthology horror, fan should put at the top of their lists of films to watch. Brilliantly written and directed by Jeremy Dyson and lead actor Andy Nyman, adapted from their stage play. “Ghost Stories” is a genuinely creepy, scary, and intelligent horror film, that works on multiple levels. 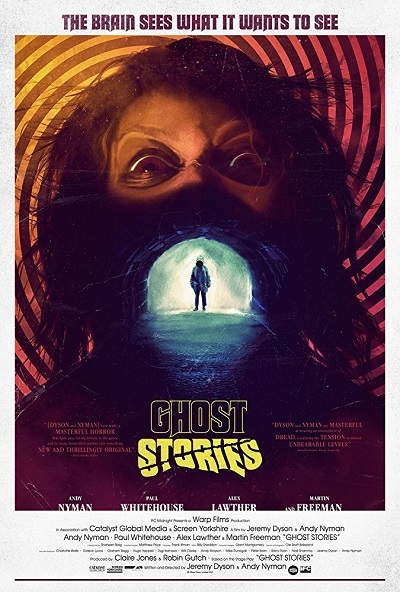 Although it is essentially an anthology film the way it is constructed and the skill of the film-makers at connecting the individual stories makes it feel like it is not really an anthology film at all. I was lucky enough to see it on the big screen, which is where it really comes into its own with the atmosphere and ambience, being far more creepy and scary than I find many horror films to be nowadays, it was one of the best experiences I have ever had at the cinema, and a film that will reveal more depths on repeated viewings. The only way to describe this outstanding film is “Mean Streets” meets the last third of “Goodfellas“, coupled, with elements of “Rain Man“, honestly even that really does not come close to doing it justice. Robert Pattinson anchors the film with a career best performance, matched all the way by the entire cast, particularly Benny Safdie, one half of the Safdie brothers who directed it, playing his character’s intellectually impaired brother. Shot in a stylistic kinetic way, very reminiscent of Tony Scott, that heightens the escalating tension throughout the entire film, coupled with the feel of the 1970s character driven films. 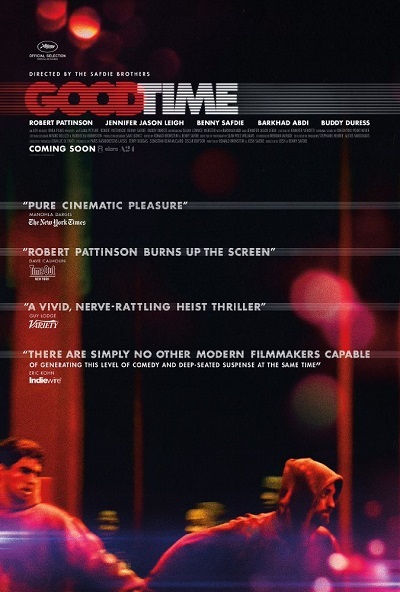 “Good Time” and the Safdie Brothers show that Tony Scott’s inspiration and spirit lives on in the next generation. This is an absolutely insanely entertaining crowd funded film directed by Mike Mendez, not for one second does it takes itself at all seriously, but in a very, very good way. 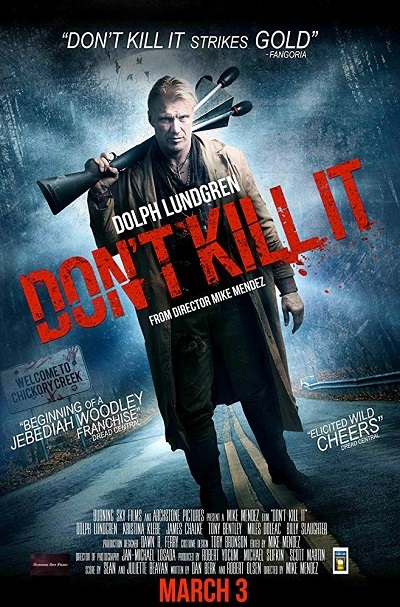 It is a face grinning from ear to ear, blood and gore, crowd pleasing fun ride of what happens when demon hunter Jebediah Woodley, played by Dolph Lundgren, is the only hope for the Mississippi town of Chickory Creek when an ancient demon is unleashed. Dolph Lundgren, in possibly a career best performance, so obviously had great fun stealing the entire film from the rest of the cast. This is one film that really does deserve to spawn a franchise. 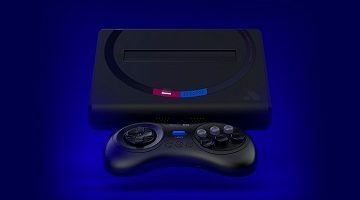 This was one of the most unexpectedly pleasant surprises of 2018. 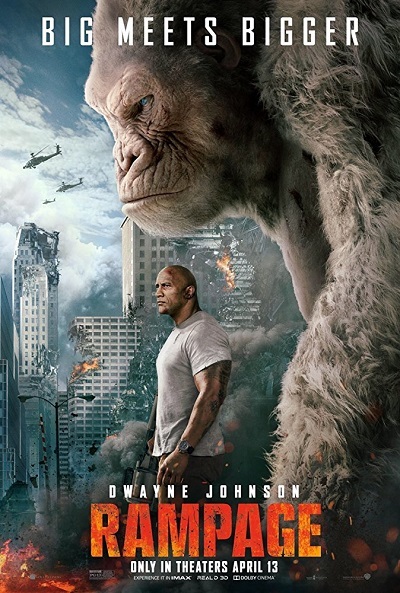 While not perfect, the only fault being that most of the actors apart from Dwayne Johnson and Jeffrey Dean Morgan do not really register that much, however “Rampage” is a cracking good fun creature feature with more heart and soul, and humour, than many other studio films released in 2018. What elevates the film is the amazingly realistic CGI, making George the ape almost seem real, a superb motion captured performance by Jason Liles, his scenes with Dwayne Johnson being some of the highlights of the film. I really cannot recommended “Rampage” enough. A popcorn film that fans of creature features will love. This is an overlooked British made gem that superbly depicts the life of a female stand-up comic from her childhood in 1950s northern England right through to the 1980s, with a poetic realism that at times brings to mind the films of Ken Loach and Mike Leigh, a film about comedians and not a comedy. A film that pulls no punches in the themes it deals with, sexism, domestic violence, and PTSD, never being gratuitous, however there are gut-wrenching moments. 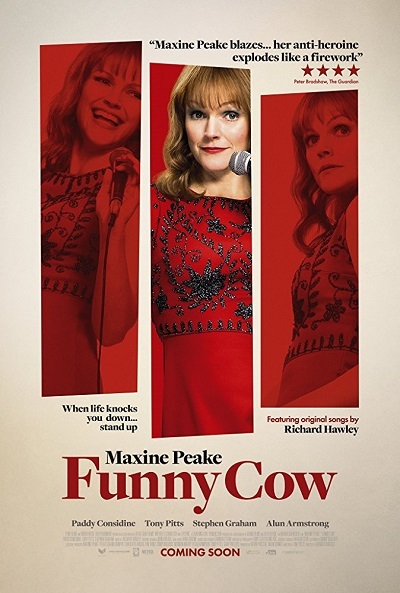 Maxine Peake has possibly never been better, making the entire film her own in the lead role. Any synopsis really does not do the film, her or the entire casts performances justice, a film that, amongst other things, brilliantly depicts the harsh reality of trying to make people laugh for a living. 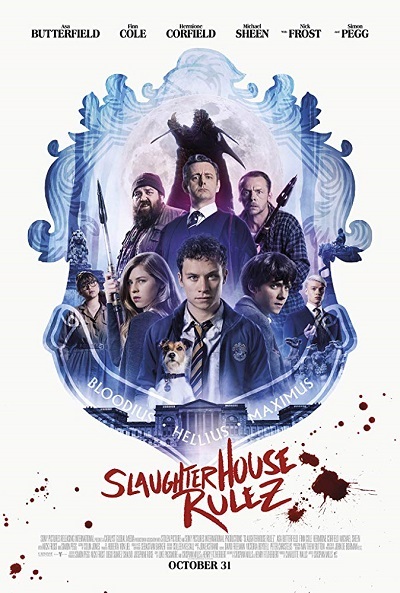 A fun genre popcorn movie which was not at all what I was expecting because very unusually the trailer gives absolutely nothing at all away, seeming that it was possibly going to be a slasher film spoof set in an English boarding school. It is in fact a part homage to Lindsay Anderson’s classic 1960s film “If….“. Well to say too much more would spoil what unfolds, although there is plenty of blood and gore. A film that horror fans will love. Directed by Crispian Mills of the band Kula Shaker, who also co-wrote the screenplay with Henry Fitzherbert, touching on issues of the class and social divide, containing many references for eagle eyed film and TV buffs. It is first and foremost an exceptional crowd pleasing first film from Simon Pegg and Nick Frost‘s Stolen Picture production company, who on this showing has an exciting future ahead. Many did not rate Clint Eastwood’s true story film very highly, but as you can see from my review (and also here) I found it really impressive.